Maximum milk (we’ll aim to get you 4 bars of milk chocolate every month). 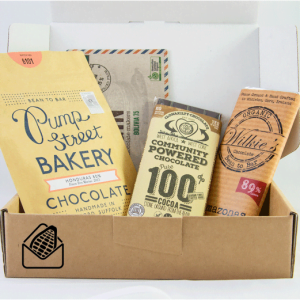 Choosing your subscription box is just the beginning. 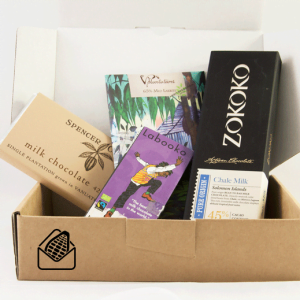 Each month we’ll send you a (very short) survey so you can tell us which of your chocolates you loved the most. As we learn more about your favourites (maybe the more bitter the better, or you love your chocolate with nuts, flavours or from Ecuador) we will tailor the chocolates you receive to your preferences. 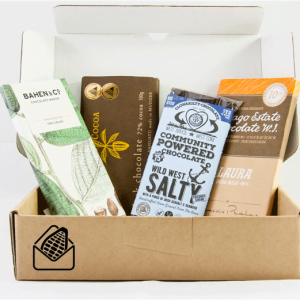 All our boxes include one chocolate from an Australian producer – we want to showcase the great products made right here on our doorstep and hopefully inspire you to pay them a visit when you’re next in their area. 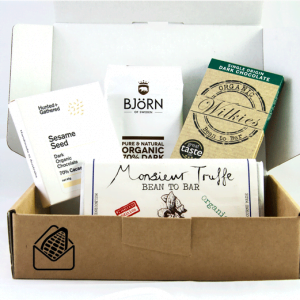 Each chocolate bar is usually 80-100g, although because every producer is unique the total size will vary month to month. But these are full sized bars, not samples. Click your preferred box to find out more. No sign up fee. Subscriptions can be put ‘on hold’ or cancelled at any time.